Follow @Keithllair at the state track and field championships in Clovis today and Saturday. Keith will be tweeting and posting Tout video’s of competitors at finals. For up to the minute results, click the CIF-State results link. La Salle High School graduate Daniel De La Torre has had a one-track mind this entire spring. The goal remains intact heading into today’s two-day meet at Clovis’ Veterans Memorial Stadium at Buchanan High. 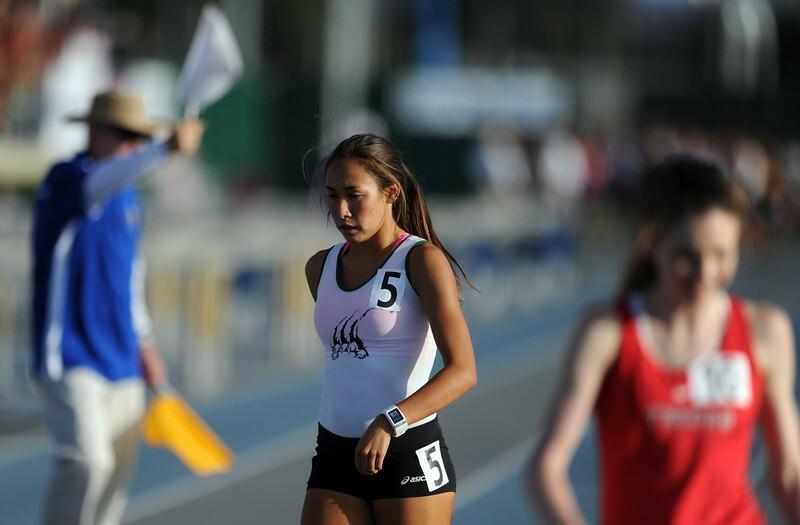 De La Torre finished ninth in the 1,600 and fourth in the 3,200 last year. He must finish in the top nine in a 1,600 qualifying race today. There is no 3,200 qualifier. 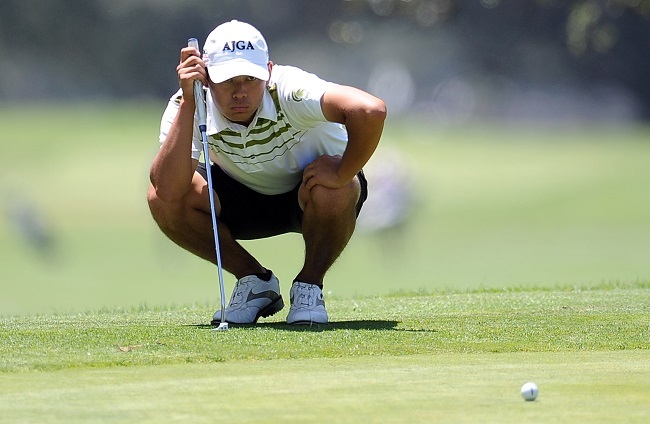 Brandon Tsujimoto will be enjoying two trips to Carmel in June. The Damien High School graduate used Brookside Golf Course for the springboard for both trips, too. He qualified for the June 17-22 California Amateur last week on the facility’s No. 1 course and earned a berth in next week’s CIF State finals by shooting a 2-under-par 70 in Thursday’s CIF/SCGA Southern California regional on the same layout. Tsujimoto went through graduation ceremonies last week. He finished sixth in Thursday’s one-day tournament to qualify for the finals, to be held Wednesday at Quail Lodge Golf Club. Five other Valley golfers tried to duplicate Tsujimoto’s feat, but none qualified for the top nine spots. Arcadia’s Johnny Lai and La Canada’s Collin Morikawa came within one shot of getting into a playoff for one of four remaining slots. They had even-par 72s. With three months before the high school football season, we’ve got ten questions? 1. Will Antonio “Noodles” Hull, who transferred from West Covina to Diamond Bar, regain his football eligibility after CIF declared him ineligible citing an athletically motivated transfer. Hull’s family has hired an attorney to appeal the decision. My guess is nothing will change. If it didn’t change for South Hills’ Jordan Canada, it probably won’t change for Hull. 2. It appears Damien has had more high profile players transfer out than transfer in since former Bishop Amat legendary coach Mark Paredes took over. Before Damien heads to the Pac-5, will it do anything in the Sierra or Inland with Paredes in charge? My guess, they’ll probably go 5-5. 3. Will Gladstone and El Monte, who had two of the best season’s in school history, even make the playoffs after graduating so many talented players, especially Gladiators QB Kevin Amezquita and Lions QB Brandon Martinez? I say probably not. 4. Is Bishop Amat quarterback Koa Haynes good enough or great enough to lead the Lancers to a Serra league title without a top back returning? 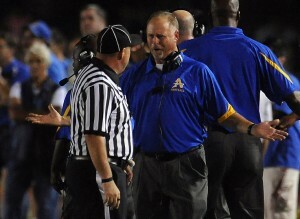 Is Bishop Amat good enough to make the playoffs, period? 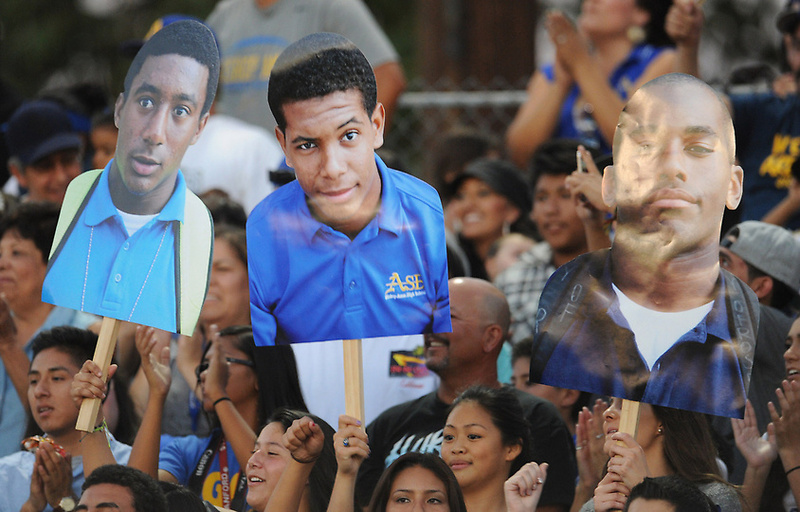 The past few years Amat has been idling. They’re not going up, they’re not going down, they’re stuck in neutral. Will that change? Probably not, expect another second or third place finish in the Serra, and probably a first-round playoff exit. 5. Will San Dimas junior football standout Jake Payton, the Valle Vista League player of the year, remain at San Dimas? I’ve been told by a very reliable source that he is seriously considering transferring and that the wheels are already in motion. Stay tuned! 6. How many players will transfer to Charter Oak knowing they’re going back to the Hacienda League and probably the Southeast Division by 2014? And before it leaves, is there any chance of getting past the second round in the Inland Division? Over/Under is 5 on players transferring in, and no, they probably won’t get past the second round. 7. Will we ever watch Kurt Scoby play football again? He’s been at Charter Oak, Duarte, St. Paul, Alemany and now Monrovia. It’s his senior year, will he play? I’d set the odds at 70-30 that he never plays high school football again. 8. Is West Covina football, after winning back-to-back Southeast titles in 2010 and ’11, on the decline? I’m afraid so, by 2014, Edgewood is taking over! 9. How good will the South Hills freshman football team be with head coach Steve Bogan in charge? 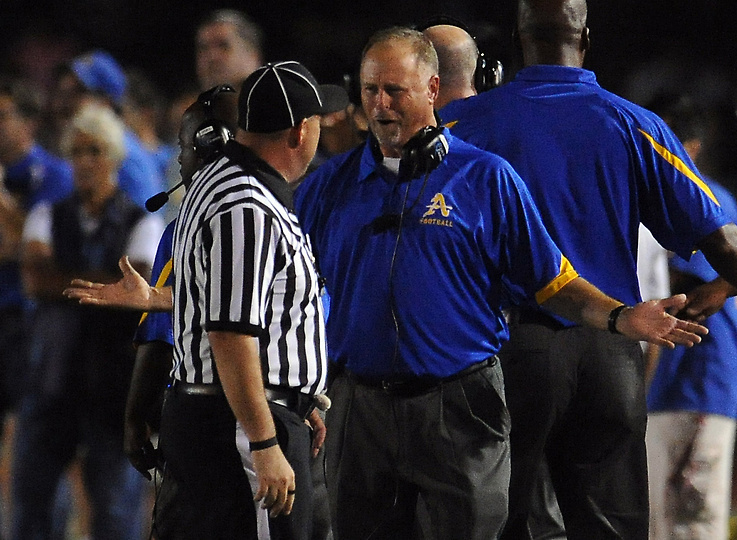 He might be the first freshman football coach with four CIF titles. 10T. 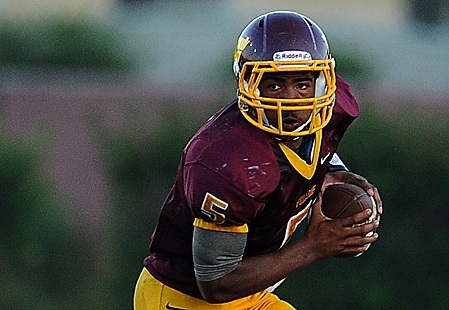 Who will be the top recruited football player in the Valley? Sadly, can’t think of many. 10T. Who are your sleeper teams for 2013? I’ll give you three, Diamond Bar, Bonita, Duarte. 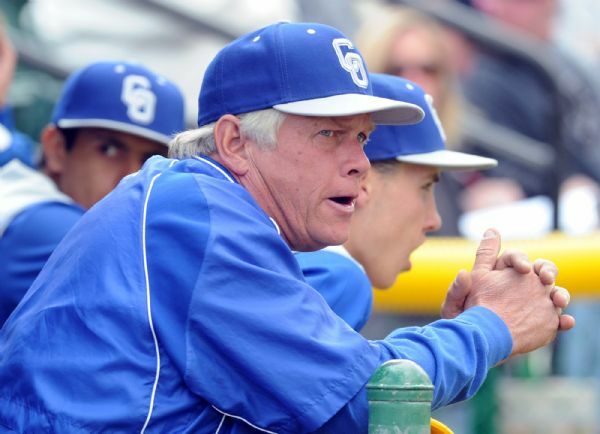 Sources at Charter Oak have confirmed that longtime Charter Oak baseball coach Tom Quinley, a walk-on, will not be back next season. Quinley led Charter Oak to the CIF-SS Division 4 title in 2007, beating Santa Monica, 7-1. He also led the Chargers to the Division 4 title game in 2005. 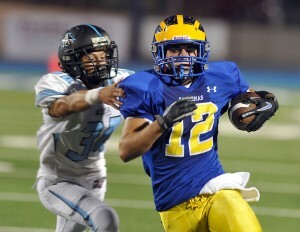 Charter finished one of its worst seasons in memory, finishing 9-14 and last in the Sierra League. BREAKING NEWS: Northview coach Jeff Butler informed me that after discussing with school officials, they have decided not to file a protest. NEW VIDEO: Video footage of Aquinas allegedly hitting off a tee in pre-game warm-ups prior to its 9-1 semifinal victory was sent to us today. Again, you be the judge, are players hitting off a tee? Northview High School spoke with CIF-Southern Section officials today accusing Aquinas, who it lost to 9-1 in Tuesday’s CIF-Southern Section Division 5 softball semifinal, of conducting an illegal batting practice. If CIF determined an illegal batting practice took place, Aquinas would have to forfeit its victory. However, Northview only produced pictures, which I have obtained, but has no video evidence of Aquinas taking an illegal batting practice. 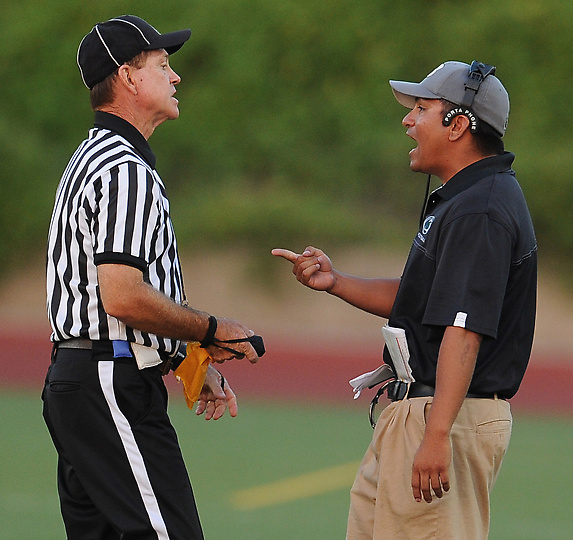 Also, Northview never filed a formal protest with CIF officials, so it appears nothing will likely happen. But you be the judge, are these pictures enough? In the top photo Northview alleges this is a picture of an Aquinas player hitting off a tee. I can’t tell with certainty, the pictures are blurry. But it does appear the ball is stationary because the ball is in the hit-zone and the player still has the bat on her shoulders. But who knows, it could be an Aquinas player tossing the ball too. Those are just my observations. I never liked the rule anyway, but if you see it happening and believe you’ve caught a team violating it, get your video camera out. BATTING PRACTICE– Includes bunting or slap hittimg. Teams entered in the softball playoffs WILL NOT be permitted to take batting practice on the day of the scheduled contest. Batting practice will be construed as any type of pitching motion with ANY type of ball from in front of the batter (including pitching machines, underhand tossing, overhand throwing or pepper). THE ONLY ACCEPTABLE BATTING WARMUP WILL BE SIDE SOFT TOSS. The player who tosses the ball should be on a knee and to the side of the batter. The ball should be lifted, not pitched, to the batter. THE PENALTY FOR BATTING PRACTICE WITH WIFFLE BALL, SOFTBALL, BASEBALL, ETC. MAY BE FORFEITURE OF GAME.